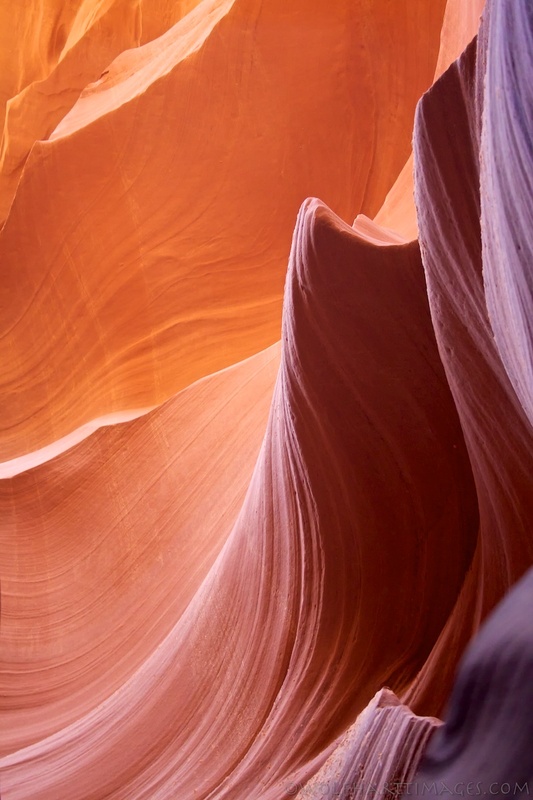 Antelope Canyon near Page, Arizona is a magical place and a bucket list item for most nature photographers. 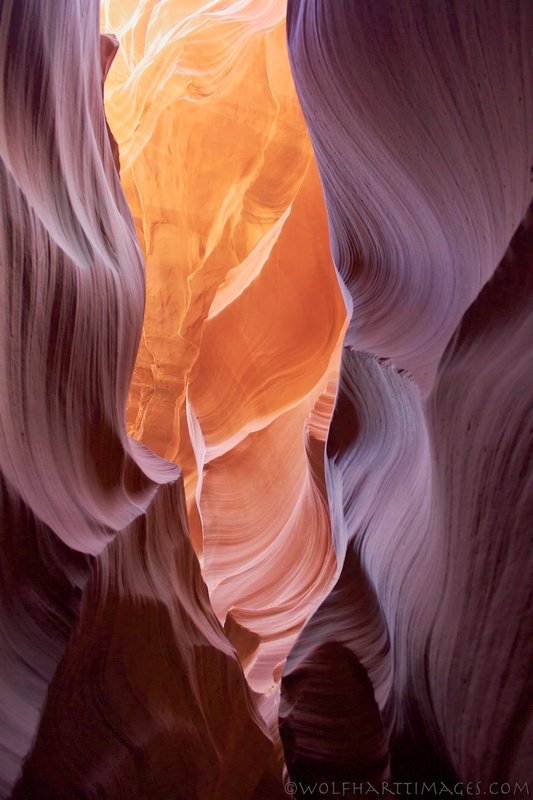 This slot canyon is located on Navaho Nation land with Lower Antelope being more narrow and containing steep stairs and ladders making it less accessible than the upper canyon. A local guide who know the areas intimately and carefully watches the weather is required to visit either slot. Any slot canyon can quickly become extremely dangerous and these ones have proven to be deadly when local knowledge is ignored. The occasional escape ropes are a reminder as you wander through these rock wonders that these canyons can become a raging torrent of water within minutes. These canyons were primarily formed by flash flooding over at least several thousands of years. The Navaho name for Upper Antelope is Tsé bighánílíní which translates to ‘the place where water runs through rocks’. And Lower Antelope is Hazdistazí which translate to ‘spiral rock arches’. The canyon is ~120 feet deep and Upper is ~660 feet long while Lower is ~1335 feet. 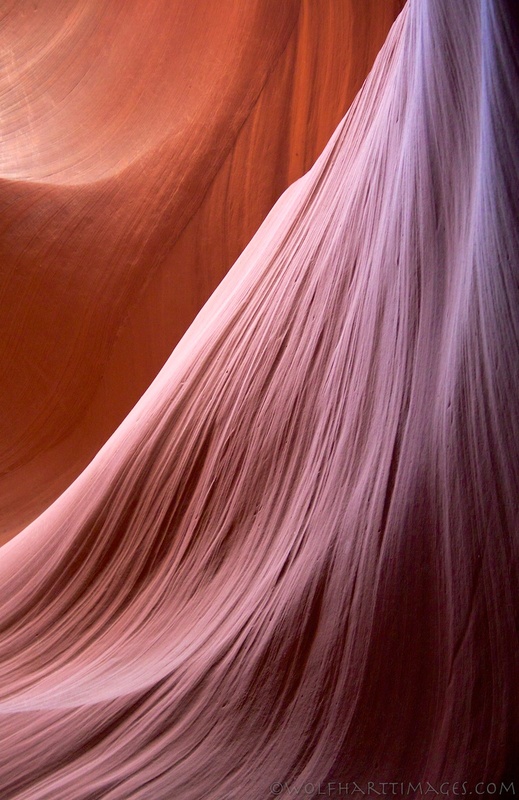 The unique character of the red sandstone and how light is filtered through the slots creates a color gamut from dusty reds to oranges and purples on the smooth, flowing substrate. 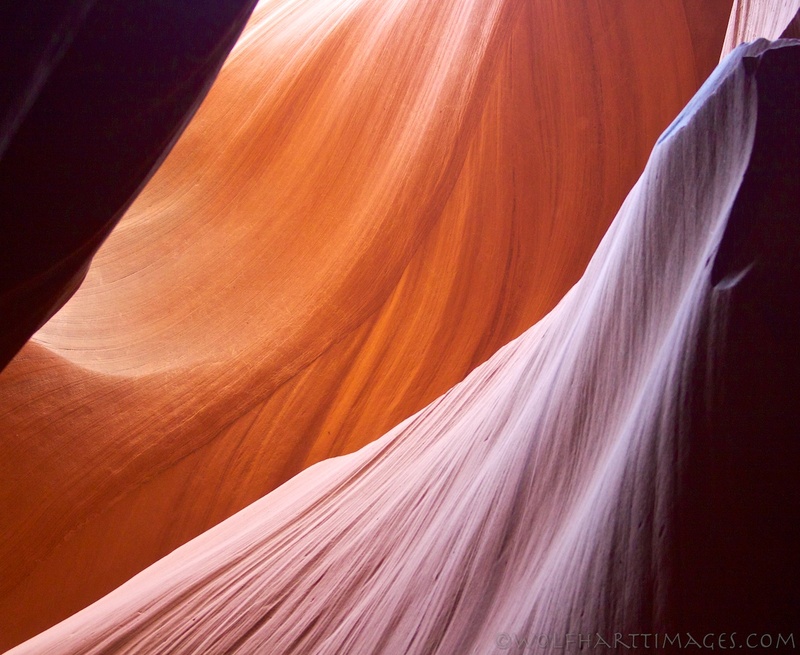 All these photographs are from Lower Antelope Canyon.